Many of the children we see have visual processing deficits. Vision therapy seems to help but many of the exercises are, well, boring. Whenever we can we try to make the exercises more fun. 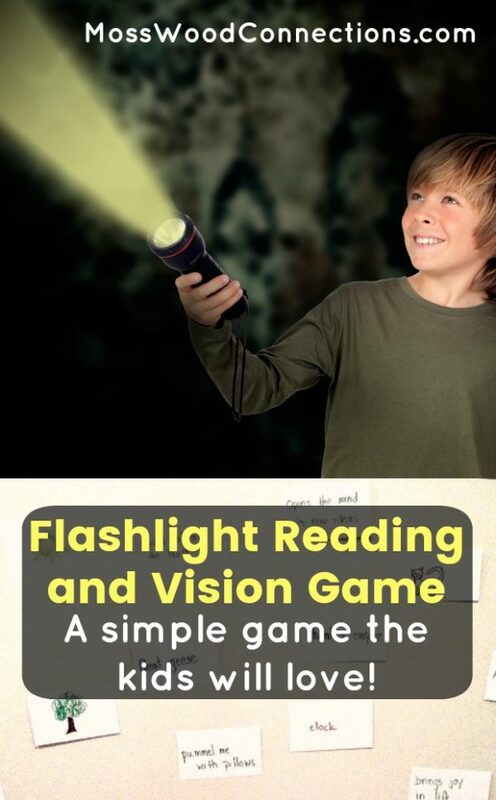 This Flashlight Vision Game is a more amusing way to work on visual scanning and visual attention. 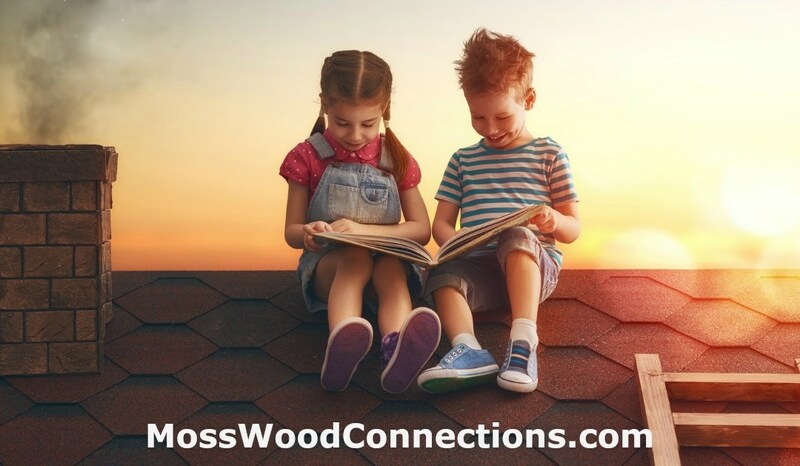 It is also a fun reading game. You can use this game for learning to read sight words and other pre-reading games. Game 1: How Many Cards Can you See? For pre-readers: Make index cards with pictures. 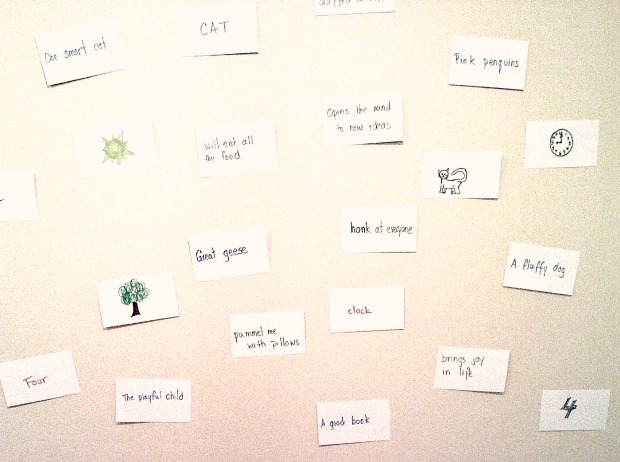 For beginning readers: Make index cards with simple words. For children who are already reading: Make index cards with simple phrases. Put the cards on a wall in a room that you can make dark. Flash the light on the cards for a count of 4 seconds per card and see how many cards the child can identify in 60 seconds. If the child misses a lot of the cards flash the light on the card for a longer time. Adjust the time that you flash the light on the cards longer or shorter to ensure the child has some success. Game 2: Find the Matching Card! Make cards that have a match. You can match two like words or make one a picture and one a word and match the picture to the word. 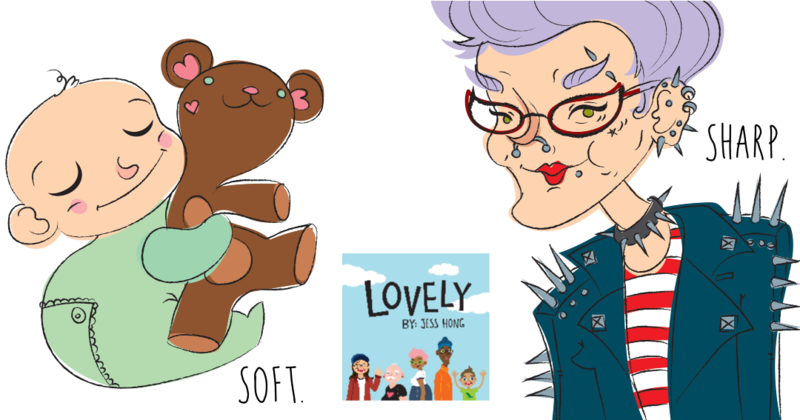 make an assortment of matching cards. Put them on the wall. Give the flashlight to the child. Have them find as many matching cards as they can in 60 seconds. Game 3: Can You Make a Sentence? See if the student can flash the light on the words to make a sentence. Or make cards with beginning phrases and ending phrases and have them look for the matches. For example, you could write a sentence: “The brown dog got a bone.” Write “The brown dog” on one card “got a bone” on another card. Make a set of cards that is a different color than the rest of the cards. Tell the student to find as many of those colored cards as they can in 60 seconds. 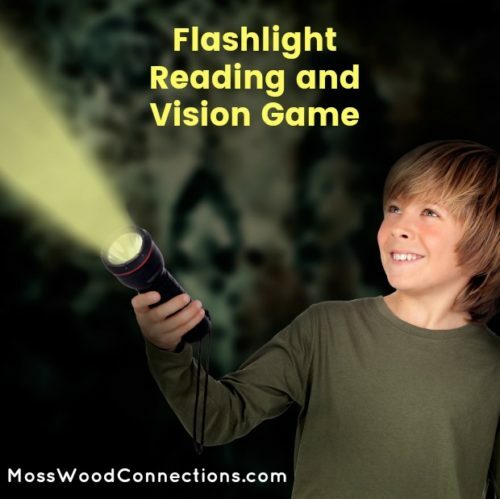 HAVE AN ENLIGHTENING TIME PLAYING THE FLASHLIGHT READING & VISION GAME!